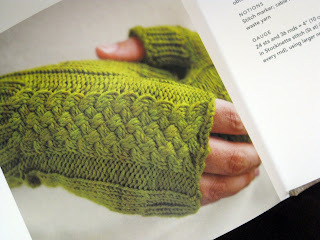 This morning I started to write a post about my favorite knitting books. I was going to begin by telling you that the books I've bought over the last five years were a good investment, but I don't plan to buy any more for a while because they tend to be pricey and there are plenty of free patterns available on the Internet. But something funny happened. As I was writing, I realized how much I love my knitting books. I return to them again and again for inspiration, to revisit favorite patterns, refresh my memory on how to do certain techniques, and sometimes just to look at the pretty pictures. They are particularly useful late at night when I'm too tired to read a novel but not tired enough to fall sleep. It was difficult trying to pick my favorites because almost all of them have something special to offer. They're like comfortable old friends. The worn out Leisure Arts books I bought when I first learned to knit have a special place in my heart. The Louisa Harding books are simply gorgeous, and the Knitting for Baby book has some of the cutest babies I've ever seen (the patterns are quite nice, too). 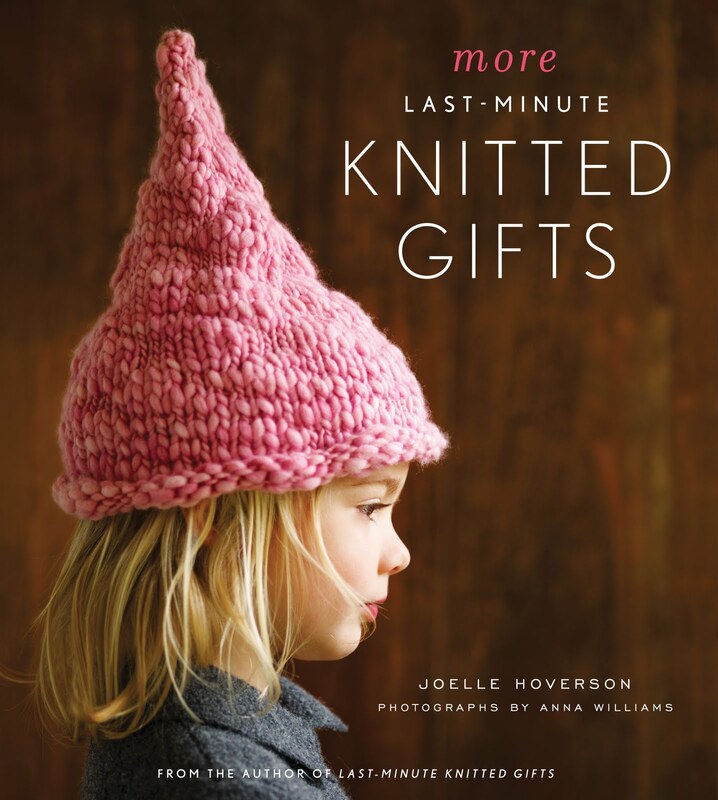 The more I thought about it, the more I recognized the value of knitting books and began to rethink my decision not to buy them. So this evening I treated myself to a a book that caught my eye last month at my local yarn shop. 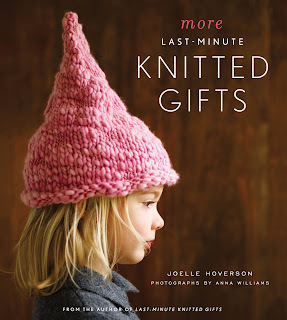 More Last Minute Knitted Gifts by Joelle Hoverson. It has some of the cutest patterns I've seen in a long time, like this knit house and fingerless gloves. There are many more patterns I'd like to knit, but even if all I ever do is look at the pictures again and again, it was totally worth the price. I've only owned this book for a couple of hours and I already love it. 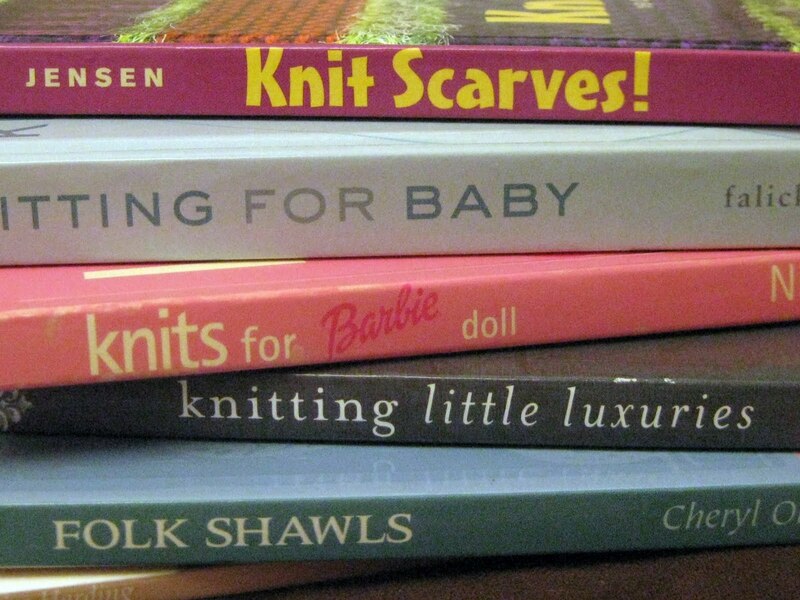 Do you have a favorite knitting or craft book? Thanks Stacy for the book review. I have been undecided about More Last Minute Gifts and it now looks like a book to purchase. Have a great weekend. My favorite book of knitting is of finished projects:) You know I am not a knitter but sure love watching your pretties being created! Have a blessed Friday my friend! HUGS! How about opening an etsy shop? I'd be the first one in line waiting for the door to open! Oh my gosh! I almost bought that book for you!!! That's how I feel about my quilting/sewing books. Some are a bit outdated, but they all have good tips and ideas. Your knitting books are wonderful. The new one, especially. Aren't you glad you changed your mind about not buying more? Thanks for the review -- I need to check out that book. I love to take out my old books and just look at them. 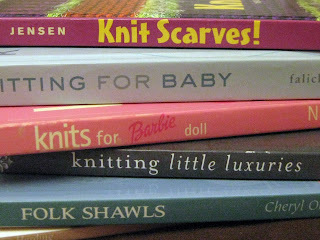 Both knitting and quilting books -- great fun! 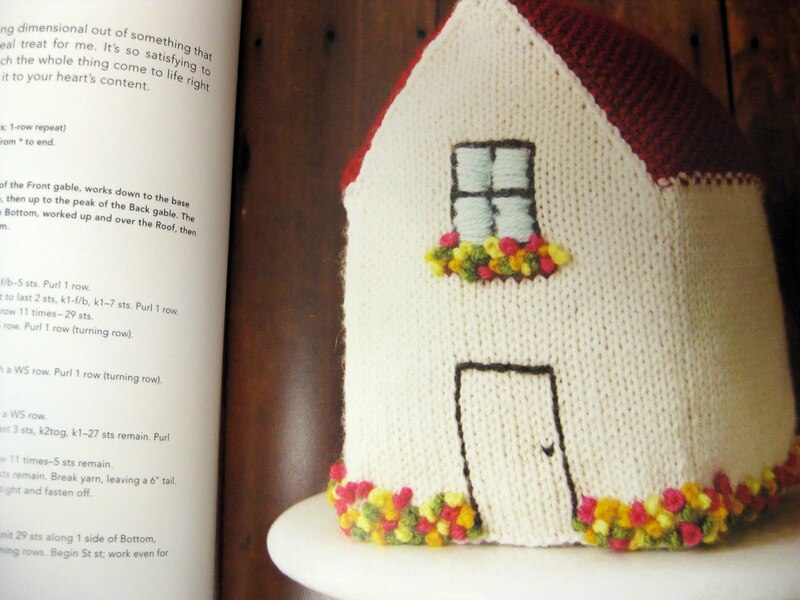 I love my knitting books. I love the photos in the Rowan books I have - even though I've never knitted anything in them. I have several Zimmerman books. My favorite may be Maggie Righetti's books - so straightforward but no good pictures.